Andre Gide once described the mathematical “therefore” as “a word the poet must not know”, providing thus an epigram – like phrase to an almost universally accepted point of view. Indeed, we are accustomed to viewing poetry as independent of restrictions of logic and the mathematical sort of thinking, or even as exactly opposite to it. Under this wide consensus on the antithesis between Poetry and Mathematics, a point of view such as the one expressed by Gustave Flaubert in a letter to Louise Colet, where he claims that “Poetry is as precise as Geometry”, appears quite naturally as odd or even as an oxymoron. However, it does not require much inspection to confirm that there is a lot of space for quantitative considerations and reason in Poetry. Only to mention an obvious example, meter and rhythm, are inherently connected to counting and measurement, whether it be the number of feet or the duration of a vowel sound. Apart from such technical issues, Mathematics relies greatly upon inspiration, the nature of which has been argued to resemble artistic or poetic inspiration. And a similarity in form comes from the simple fact that words in a poem are probably chosen and arranged as carefully as mathematical arguments and expressions are arranged in an elegant proof. Moreover, as anyone who has had some contact with Mathematics would confirm, Mathematics and Poetry often share the same sense of beauty and elegance. A poem is naturally subject to quantitative restrictions as a poet’s pursuit is to express and convey feelings or sensations in a few words, or even in the fewest possible words, of which the literal meaning is sometimes apparently not semantically connected to the feeling or sensation itself. From that point of view, a poem strongly resembles a definition where the definiendum is a feeling or sensation and Poetry itself can be said to be a pursuit of definitions, not very different than the definitions formulated in Mathematics. Indeed those too conform to the fewest words principle, have to be concise and elegant and often make use of words seemingly unrelated to the specific definiendum. For example, the helix, a quite common curve appearing very often in everyday life and in nature can be mathematically defined as “the smooth curve whose tangent at every point forms a constant angle to a fixed line”. This may indeed be at first reading as undecipherable as Alvaro de Campos’, one of the many Fernando Pessoa’s “heteronyms”, poetic definition of self: “I am the space between what I’d like to be and what others made of me – Or half that space, because there’s life there too”. Both definitions must be processed beyond the obvious, literal meaning of their wording in order to be properly comprehended. 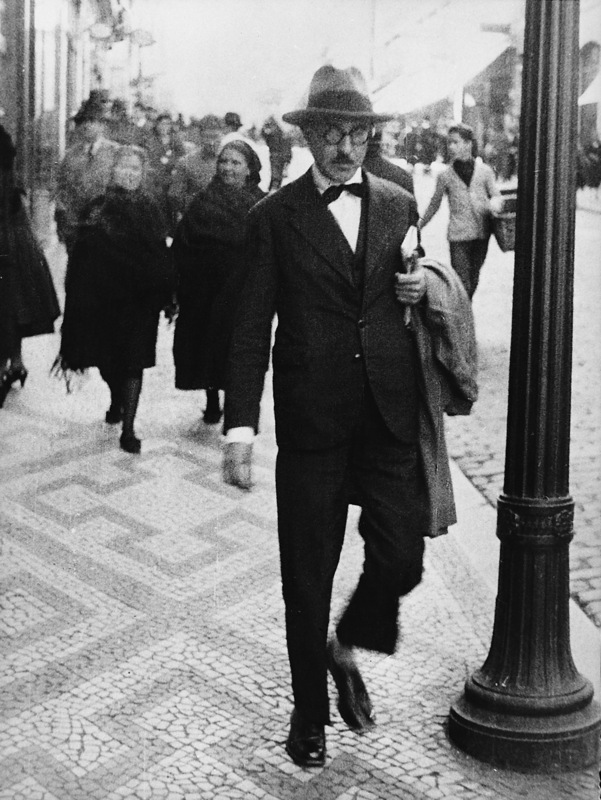 It is not without purpose that I mention Fernando Pessoa (1888 – 1935), the great Portuguese poet and writer, and the helix, as he himself, through his “semi – heteronym” Bernardo Soares, once addressed the problem of accurately defining this mathematical, three dimensional curve, without using the “unliterary hand”. “Most people are afflicted by an inability to say what they see or think” Bernardo Soares writes in the so called “Book of Disquietude” (Livro de Desassossego) bringing forward the problem of definition which is viewed by Soares as a criterion of literary or poetic ability. “There is no way to communicate our impressions other than to make them literary” he writes and poses a challenge that, curiously enough, brings attention to the narrow and obscure area shared by Poetry and Mathematics, an area that many people consider as nonexistent. “They say there’s nothing more difficult than to define a spiral in words; they claim it’s necessary to use the unliterary hand, twirling it in a steadily upward direction, so that human eyes will perceive the abstract figure immanent in a wire spring and a certain type of staircase”. Defining the helix is a challenge of purely mathematical nature possessing several elegant solutions (one of which obviously is “the smooth curve whose tangent at every point forms a constant angle to a fixed line”) though Soares approaches the problem from a poetic point of view and actually arrives to an elegant answer without the mathematical jargon. 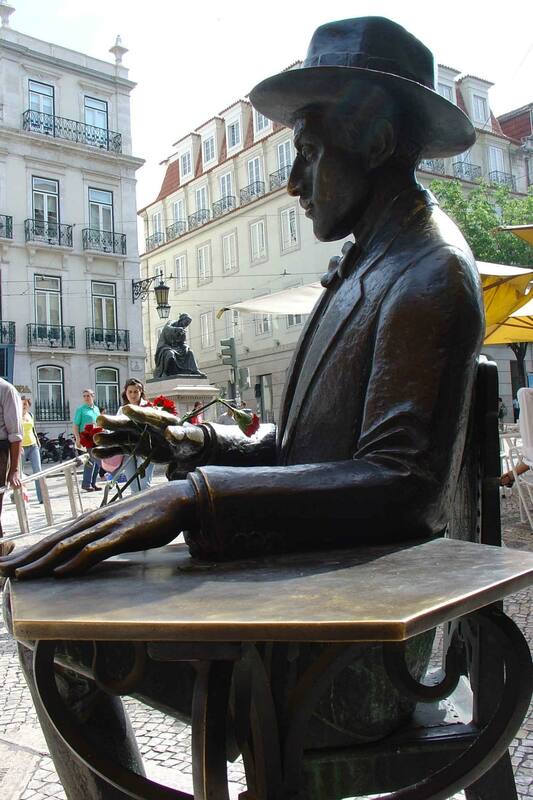 Fernando Pessoa had no interest in Mathematics and no other mathematical or scientific education apart from the elementary school level and it could well be said that his whole life and work is absolutely unrelated to science. His susceptibility towards the occult, including the Cabbala, astrology and magic, betrays a personality not quite aligned to the scientific line of thought and rather alienated from the jargon. Therefore it is not a surprise when in the “Book of Disquietude” Pessoa creates confusion by declaring his intention of poetically defining the “spiral” and then proceeding by wonderfully defining the helix, which is a quite different curve. Pessoa’s poetry and prose, haunted by the problem of definition of self, is communicated through a multitude of heteronyms or fabricated selves (some 72 of them have been recognized by experts) each one with his own biography, personality and literary style. Amongst them Bernardo Soares is the least distinct from Pessoa himself, a semi – heteronym writing in deeply introspective prose: “It is more difficult to be someone else in prose” writes Pessoa, declaring Soares to be distinct in ideas, feelings, modes of perception and understanding yet identical to Pessoa in style. His “Book of Disquietude”, a lifelong (and therefore not possible to finish) autobiographical project, presents an unsolvable puzzle to editors. Pessoa worked all his life as a commercial translator and wrote almost isolated, publishing almost nothing, while he progressively grew fond of drinking. He died completely unknown to the wider public, at the age of 47, broken by cirrhosis, leaving behind a trunk filled with more than 27000 manuscripts, a material still studied to this day. It is due to this material, that Pessoa is considered today the most important Portuguese poet of the 20th century and one of the most important Portuguese poets of all time. The once unknown commercial translator’s tomb can now be seen at the “Mosterio Dos Jeronimos” in Lisbon, where the tombs of such great Portuguese personages as Vasco da Gama and Luis de Camoes are also located. The fragmentary “Book of Disquietude” signed by Bernardo Soares, is a result of speculation as it is uncertain exactly how the often undated material from Pessoa’s trunk should be organized to comprise it. “The Book”, published for the first time only as late as 1982, was assembled from Pessoa’s trunk just as Soares’ enigmatic personality and biography is assembled from “The Book” itself. The helix problem is discussed in the entry dated July 27, 1930 where, apart from the spiral – helix misunderstanding, Pessoa displays some remarkable intuition, of the sort that could be even called mathematical. Yet he calls it poetic: “…if we remember that to say is to renew, we will have no trouble defining a spiral: it’s a circle that rises without ever closing. I realize that most people would never dare define it this way, for they suppose that defining is to say what others want us to say rather than what’s required for the definition. I’ll say it more accurately: a spiral is a potential circle that winds round as it rises, without ever completing itself. But no, the definition is still abstract. I’ll resort to the concrete, and all will become clear: a spiral is a snake without a snake, vertically wound around nothing”. 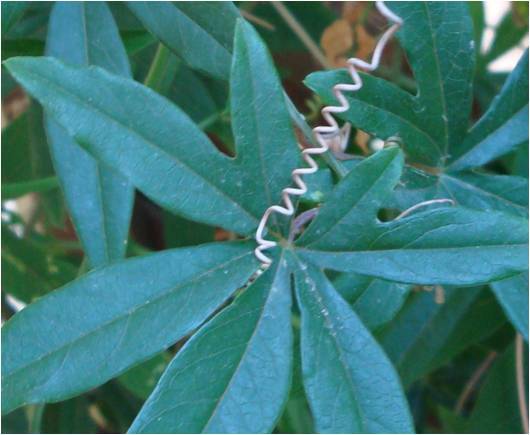 A curling tendril of a passiflora vine, displaying a helical shape. Remarkably, Pessoa’s perception and expression of the helix bears no difference from the mathematical way of describing this three dimensional curve. His “snake without a snake” can be viewed as a “concrete” approach to the second definition in Euclid’s “Elements” where a curve is described as a “breadthless line”. And Pessoa, displaying remarkable intuition, correctly grasps the essence of the helix as a combination of two motions, one forward along a straight line (the “nothing” around which the snake is wound) and one rotational, around this line. For example, such is the imagined curve drawn by the tip of a propeller blade as an airplane flies forward. Mathematically, this curve can be described using three equations, two of them due to the rotational motion and one due to the forward translation. To understand the mathematical formulation, one has to imagine the rotational motion taking place on a flat grid, like a crossword puzzle. Each moment t the moving object is located at a square described by two numbers x and y: the first one (called the cosine) indicating the position of the square across the grid and the second one (called the sine) indicating the up or down position of the square. Thus the two equations corresponding to the rotational (circular) motion are x=cos(t) and y=sin(t). Together they formulate a “parametric expression of a unit circle”, i.e. a circle with radius equal to one. If we allow a simultaneous translation away from the grid in order to produce a helix, a third equation comes into play, indicating the distance z of the moving object from the grid. A possible expression is z=t, producing a helix whose pitch is 2π, which means that every time the moving object is above the same position of the grid, it has moved further away from it by 2π units of length, where π is the well known ratio of the length over the diameter of the circle (approximately equal to 3,14). All three equations x=cos(t), y=sin(t), z=t formulate what is called a “parametric expression of the helix in Cartesian coordinates”. Pessoa’s perception of the helix as “a potential circle that winds round as it rises, without ever completing itself” is only a literary description of this mathematical parametric expression. To many people such a description, no matter how precise or concrete, literary or mathematical, is very close to the ungraspable. This is what Pessoa – Soares attributes in the “Book of Disquietude” to some sort of widespread affliction (John Allen Paulos has similarly coined the term “innumeracy” to describe the mathematical inability). “All literature is an attempt to make life real. As all of us know, even when we don’t act on what we know, life is absolutely unreal in its directly real form; the country, the city and our ideas are all absolutely fictitious things, the offspring of our complex sensation of our own selves. Impressions are incommunicable unless we make them literary”. According to Soares, the ability to accurately define one’s own feelings and thoughts is a literary ability, found unspoiled in children: “Children are particularly literary, for they say what they feel and not what someone has taught them to feel. Once I heard a child, who wished to say that he was on the verge of tears, say not “I feel like crying” which is what an adult i.e. an idiot, would say, but rather, “I feel like tears”. And this phrase – so literary it would seem affected in a well – known poet, if he could ever invent it – decisively refers to the warm presence of tears about to burst from eyelids that feel the liquid bitterness. “I feel like tears”! That small child aptly defined his spiral”. Remarkably, this literary ability greatly resembles what is perceived as mathematical intuition, much sought of amongst students and teachers in math classes. Soares proves his literary ability and intuition using the mathematical helix, proving at the same time that it is the same intuition that comes into play whether the definiendum is a mathematical object, such as the helix, or a feeling or sensation such as the need of tears. It is quite surprising that this point of view is found in “The Book of Disquietude” of all places, a deeply introspective work by a deeply introspective poet who perhaps even never intended it for publication. One is a poet if one can aptly define his or her “spiral”, if one can express it in language, without the “unliterary hand”. And Mathematics, has been argued by many, is a language after all. “To say! To know how to say! To know how to exist via the written voice and the intellectual image! This is all that matters in life; the rest is men and women, imagined loves and factitious vanities, the wiles of our digestion and forgetfulness, people squirming – like worms when a rock is lifted – under the huge abstract boulder of the meaningless blue sky”.